TAKE ADVANTAGE OF THE COMPETITIVE ADVANTAGE. Makes trading Equities a whole lot easier. Yes, we said, easier. 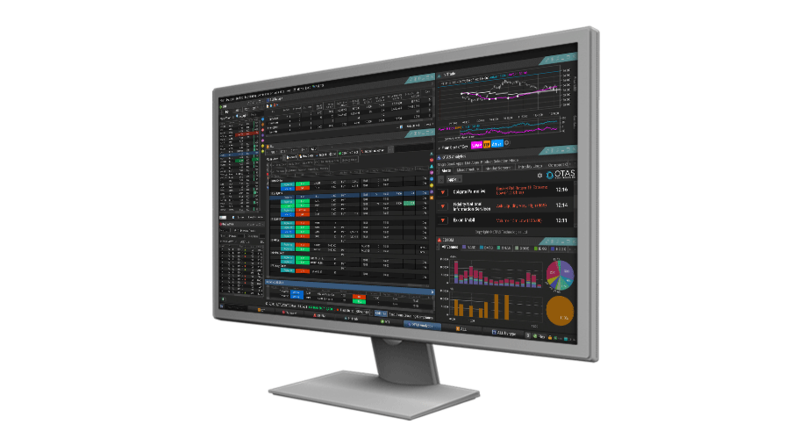 TradeSmart is all about integration, putting multiple dealers and asset classes onto a single screen, then bringing together all the data points that help you when making Equities Trading decisions. Just what the Fixed Income Trader needs. Buy-side or sell-side, it doesn’t matter, what Fixed Income trading needs is TradeSmart’s comprehensive, neutral connectivity, data normalization, intelligent compliance, and reporting tools on a global scale. Makes the complexity of trading Derivatives, simple. TradeSmart simplifies trading Derivatives by offering incredibly broad coverage on a single screen. It normalizes access to the industry’s best algorithmic offering and provides multi-broker access and single-stroke execution. Futures and Equity Options Trading is globally connected. TradeSmart connects to the global exchanges Futures and Equity Options traders need to get on top and stay there. If an FX Trader needs it, BidFX has it. BidFX gives FX Traders what they need. It’s an innovator in multi-asset FX trading and the market-leading provider of multi-asset, broker-neutral electronic trading solutions for the global marketplace. The perfect solution for the Investment Manager who wants everything. For Banks and Personal Wealth Managers, QUO makes daily operations simpler. In one, integrated and compliant platform it digitizes workflow so that managers can more efficiently and effectively manage positions and the entire life cycle of trades.